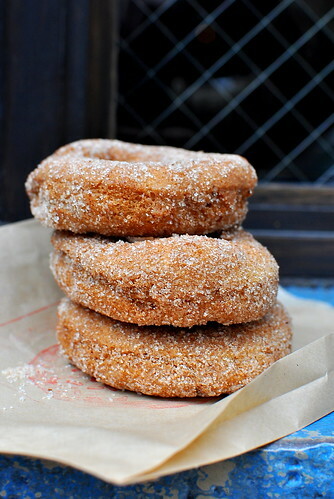 The Doughnut Vault doesn’t make it easy for doughnut fiends to get their deep-fried high on. The shop is only open for a teeny tiny window starting at 8:30 AM Tuesdays through Fridays and at 9:30 AM on Saturdays. The blue doors slam shut just as soon as the last ring is sold, which is usually an hour or two after opening. 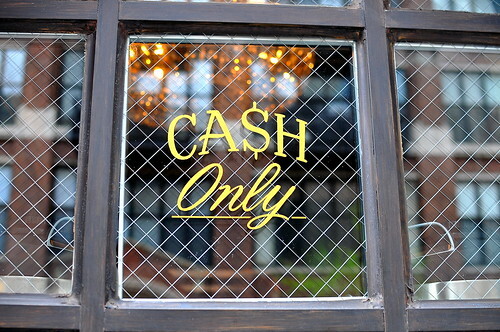 The internet is flooded with sob stories penned by poor saps who were left empty handed at the hands of The Vault. Needless to say, I did not want to add to that dialogue. The lines haven’t let up since Brendan Sodikoff opened Doughnut Vault over a year ago in Chicago’s River North neighborhood. 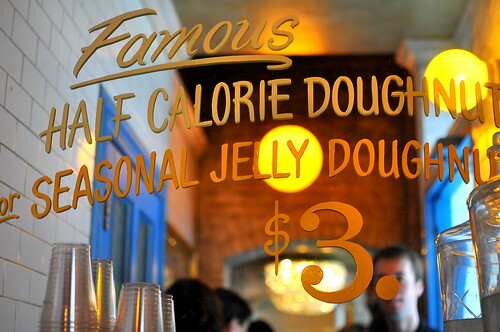 Housed in an old bank vault, the shop sells around 600 doughnuts each day. Sodikoff, who has spent time in the kitchens of Per Se and Alain Ducasse, also owns and operates a half dozen other eateries in the city including Au Cheval Diner, Bavettes Bar & Boeuf, Curio Chicago, Gilt Bar, Maude’s Liquor Bar, and Pizzeria Cella. His diverse portfolio of restaurants helps explain how a doughnut shop that barely operates for ten hours a week can be a viable business venture. 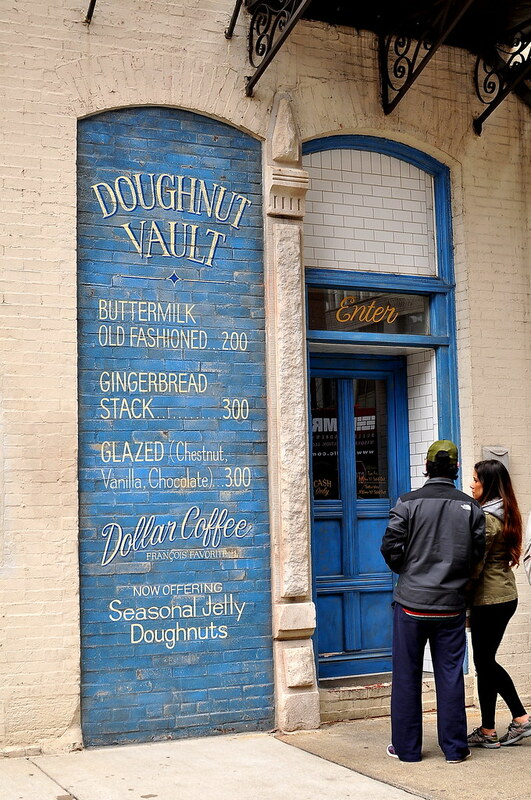 Knowing that it might take a few tries to hit the doughnut jackpot, I made sure to pencil in a visit to Doughnut Vault every morning of our trip (See: Appendix I). After an hour-long wait in the cold, we found ourselves in The Vault, a cozy hallway with a mirror on one end and racks of doughnuts on the other. Here, the truth was revealed as to why the line takes forever to get through: indecisiveness. Despite the giant menu painted on the building and the limited selection of flavors available, folks still hemmed and hawed when placing their orders. Not cool. 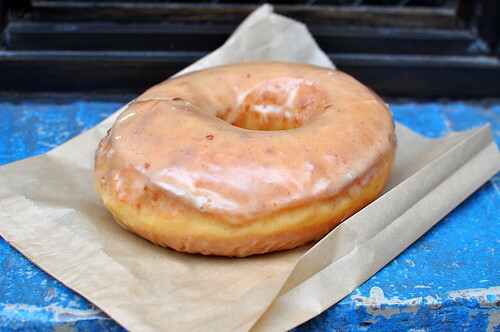 The only flavor that was unavailable when we made our way to the front was the Buttermilk Old Fashioned. From the selection on hand, The Astronomer and I chose four to share. Our absolute favorite was the daily special “Birthday Cake” ($2). I usually find cake doughnuts dense and dry, but the ones here were anything but. 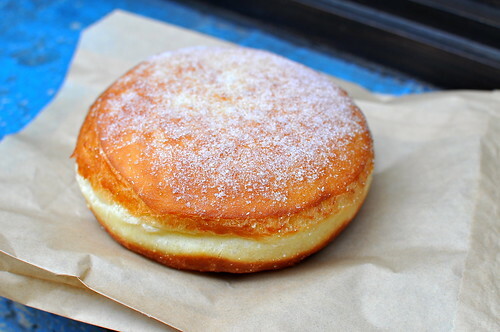 The dough possessed a lightness that I had never encountered before in a cake doughnut. It impressed me thoroughly. 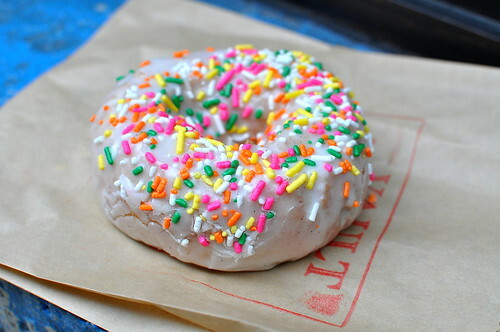 The icing and sprinkles were standard. The “Gingerbread Stack” ($3), three thin rings coated in cinnamon and sugar, was made from the same cake dough as the Birthday Cake. The crunch from the coating coupled with the tender dough was a winning combination. 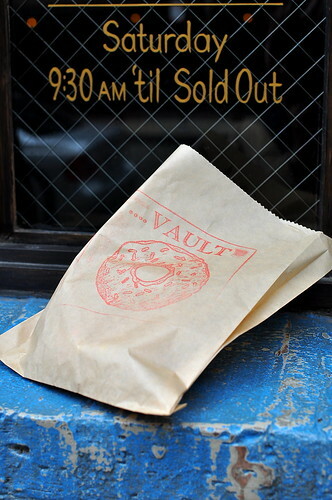 While the texture of Doughnut Vault’s cake doughnuts was legitimately special, and possibly even worthy of an hour-long wait, the texture of the yeast ones was more run-of-the-mill. The “Glazed Chestnut” ($3), a super-sized specimen whose interior could’ve been fluffier and lighter, was coated in a well-balanced icing. Kellie and Mike tried the vanilla and chocolate glazed doughnuts and liked them well enough. The “Seasonal Jelly Doughnut” ($3), which was made from a yeast dough, came filled with a tart and chunky raspberry concoction. While the texture of the doughnut didn’t really do it for me, the fruity jelly totally did. 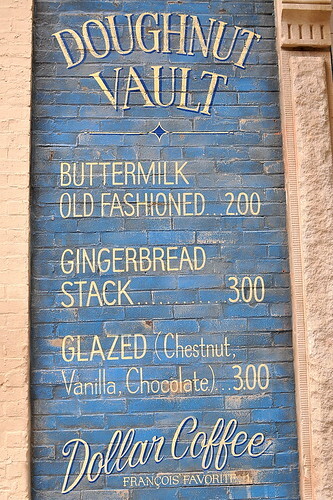 If you genuinely adore doughnuts like I do, then a trip to The Vault is a must-do on your Chicago list. If you’re only lukewarm about the deep-fried stuff, steer clear of this place. It ain’t worth your time, money, or effort. Mercy, I would love to own that business. Six hundred donuts and I’m done with work for the day. Love your travels and blog. I always love your doughnut posts. Who would hem and haw? Clearly, the only way to order is to get one of everything. Truly a love story between a girl and a doughnut. Love it! P.S. Esi is a friend of mine too! I hope things are going well for her in Chicago. Totally digging Appendix I… love the organization! My husband and I are planning the itinerary for our upcoming trip to Chicago; I think I’ll be really okay if this is the only item on it.